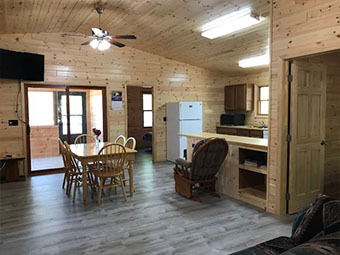 Cabin #1 is a nice sized two bedroom cabin with A/C, HDTV & 5G Internet Access suitable for two adult couples or a young family of four. The interior has knotty pine, carpeted bedrooms have queen size beds, patio door in living room leads to a large screened porch with a sun deck overlooking the picturesque view of the lake. Nestled among the tall norway pines. Maximum 4 guests. 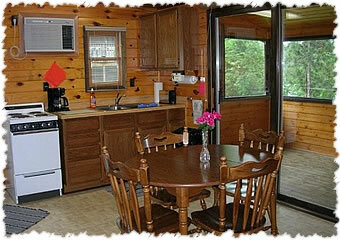 Cabin #2 All knotty pine cabin with vaulted ceilings, HDTV & 5G Internet Access, ceiling fans, A/C and Dishwasher. 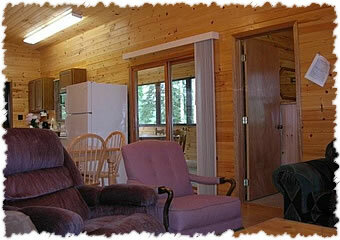 to screened porch, patio door in living room leads to deck, both with picturesque view of the lake. Three carpeted bedrooms with queen size beds. Two bathrooms with showers. Maximum 6 guests. 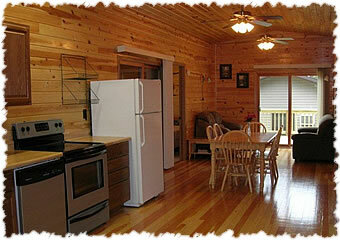 Cabin #3 All knotty pine cabin with vaulted ceilings, HDTV & 5G Internet Access, ceiling fans and A/C. Open kitchen (with dishwasher) to dining room and living room area, all wood floors. 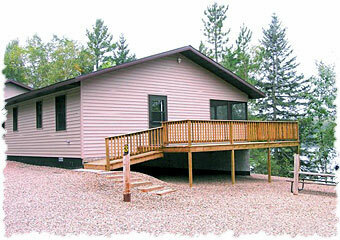 Four carpeted bedrooms with queen size beds and two bathrooms with showers. Patio door between kitchen and dining room leads to screened porch with picturesque view of the lake. Large deck. Maximum 8 guests. 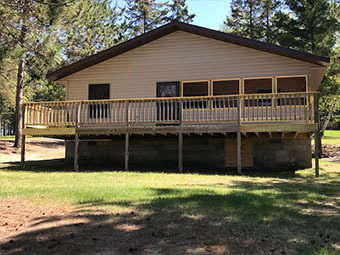 Cabin #4 has knotty pine interior, A/C, HDTV & 5G Internet Access, two carpeted bedrooms with double beds, large patio door leads to screen porch from kitchen-living area with picturesque view of the lake. Maximum 4 guests. 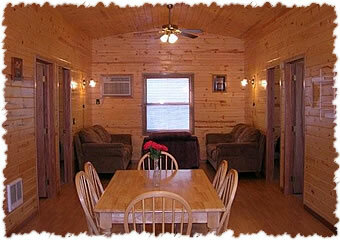 Cabin #7 is an all Knotty Pine spacious cabin with vaulted ceilings, HDTV & 5G Internet Access, celling fans & A/C. Open kitchen, dining and living room area. All wood floors. Three carpeted bedrooms with queen beds in two bedrooms, two queen beds in the third. Two bathrooms with showers. Patio door in dining room leads to screen porch, also has a large deck, both with picturesque view of the lake. Lake level cabin. Maximum 8 guests. Cabin #8 - Newly remodeled for 2018. 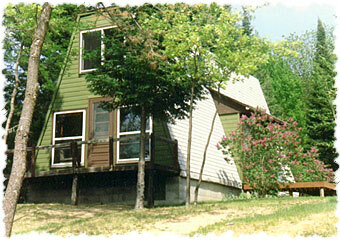 - CHECK BACK FOR UPDATED PICTURES - All knotty pine cabin with A/C, HDTV & 5G Internet Access, dishwasher, 30" stove, microwave, two bathrooms with showers, three bedrooms with queen sized beds, vaulted ceilings with ceiling fans, patio door to screened porch & deck, both with picturesque view of the lake. Maximum 6 guests. 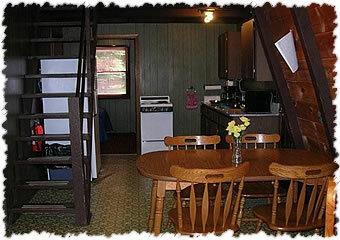 Cabin #9 is an A-Frame with A/C, stained beams, spiral staircase to loft bedroom, tub with shower, HDTV & 5G Internet Access. 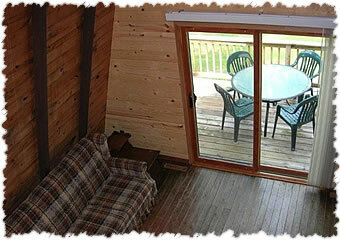 Patio door in livingroom leads to a front deck with a picturesque view of the lake. Carpeted bedroom on main level has queen size bed. Two double beds in carpeted loft. Maximum 4 guests. Cabin #10 is an A-Frame with stained beams, straight staircase to loft bedroom, carpeted living room area, HDTV & 5G Internet Access. 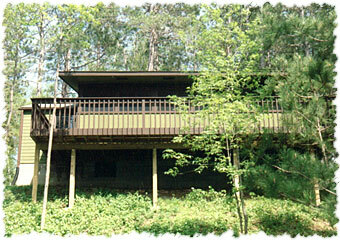 Two large picture windows with door between to a front deck overlook the picturesque view of the lake. Main floor carpeted bedroom has queen size bed. Loft has a double bed and two single beds. Maximum 4 guests. 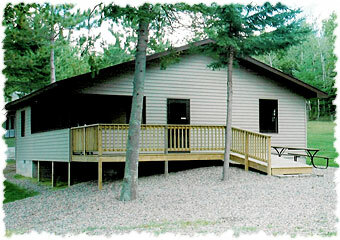 All cabins and buildings are smoke free. Cabin rates are based on five nights rental, the sixth and seventh nights are free. Prices subject to MN State Sales Tax of 6.875%, and Hubbard Co. Tax of .5%. Your Inspection Invited May 27th thru Sept 30th. Guests Are Responsible For The Full Length of Confirmed Reservation. 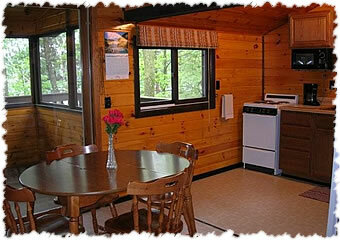 Some of our cabins can accommodate extra overnight guests. 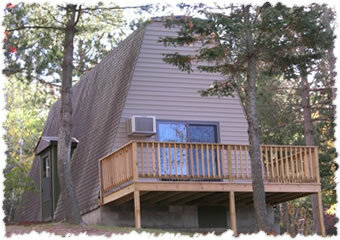 The rate is $50.00/person/night, or $150.00/person/week. Boat rental $75.00/day, $150.00/week. Maximum 15 HP motors on resort boats. Boat & motor rental $150.00/day, $450.00/week. Two - Deluxe Fishing Boats $175.00/day, $550.00/week per boat. Weeres pontoon rental $200.00/day, $650.00/week. 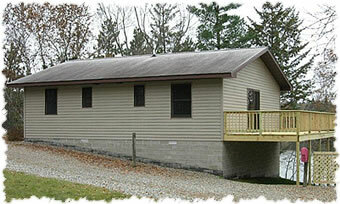 Sun Catcher pontoon rental $255.00/day, $750.00/week. Guests are responsible for all damages to rental boats, motors and pontoons. Rentals do not include gas. We have a modern laundry facilities. Not responsible for items left after check-out. If you need to cancel your boat, motor or pontoon reservation, please cancel as soon as possible, but no less than 24 hours prior to your arrival or you will be charged a one days rental set-up fee. We assure you that the cabin you choose has been inspected for cleanliness and is advertised honestly for the comfort and convenience of the occupants. Sorry, we cannot accept reservations for any cabin above the total number of guests each cabin can conveniently function or comfortably accommodate. 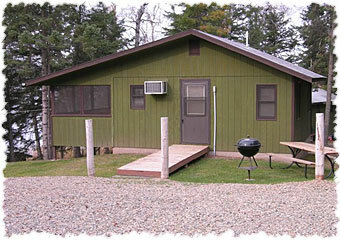 Therefore, we cannot accept your invitations to extra guests with tents, or campers to share our facilities. A deposit is required for each cabin each week reserved and must be secured by check or credit card within 5 working days of reservation. We acknowledge the receipt of your deposit and confirm your cabin choice by email or letter. Once confirmed, we do not change your cabin without your knowledge or approval. When renting 3 or more cabins for one or more weeks, we require the deposit per cabin/week and 30 days prior to your arrival, 50% of the unpaid balance is due. Should it be necessary to cancel your reservation, your deposit will be returned only if we are able to secure another rental for that cabin for the entire length of your reservation, less 20% handling fee. e-mail us: frankpat@norwayhills.com for more information!